In a bowl add balsamic vinegar, lemon juice, shallot, oregano. Slowly whisk in olive oil. Add salt and pepper to taste. Combine salad and veggies, toss with vinaigrette. 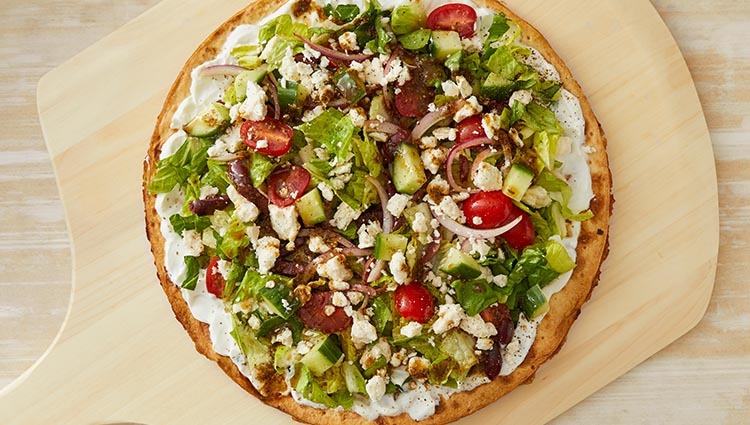 Spread Greek yogurt onto pizza crust, top with salad and Odyssey Feta.